Thank you so much for all your kind comments last week. It’s good to know that people are interested to hear what I come up with for future Make it Mondays, if anyone has any suggestions I’d love to hear them. 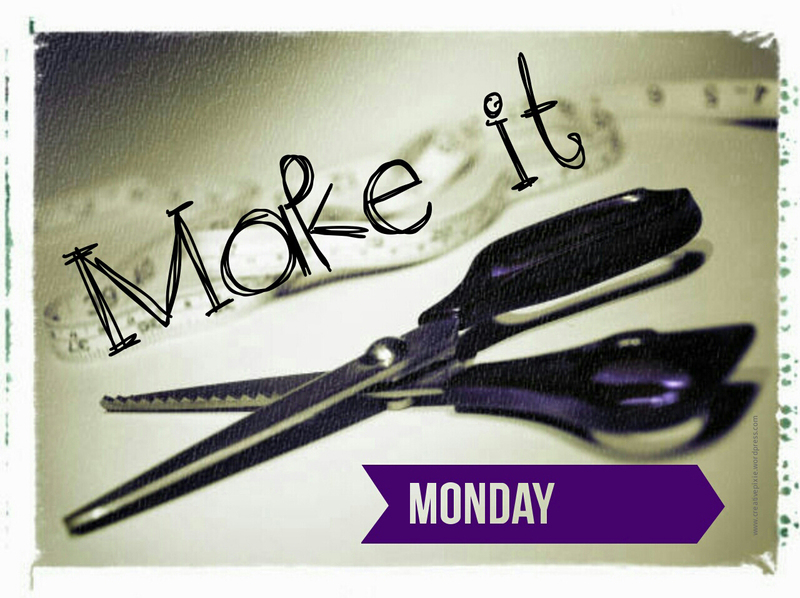 Also if you want to join in with your own Make it Monday projects I’ve set up a Make it Monday Facebook community page for you to post your own makes. 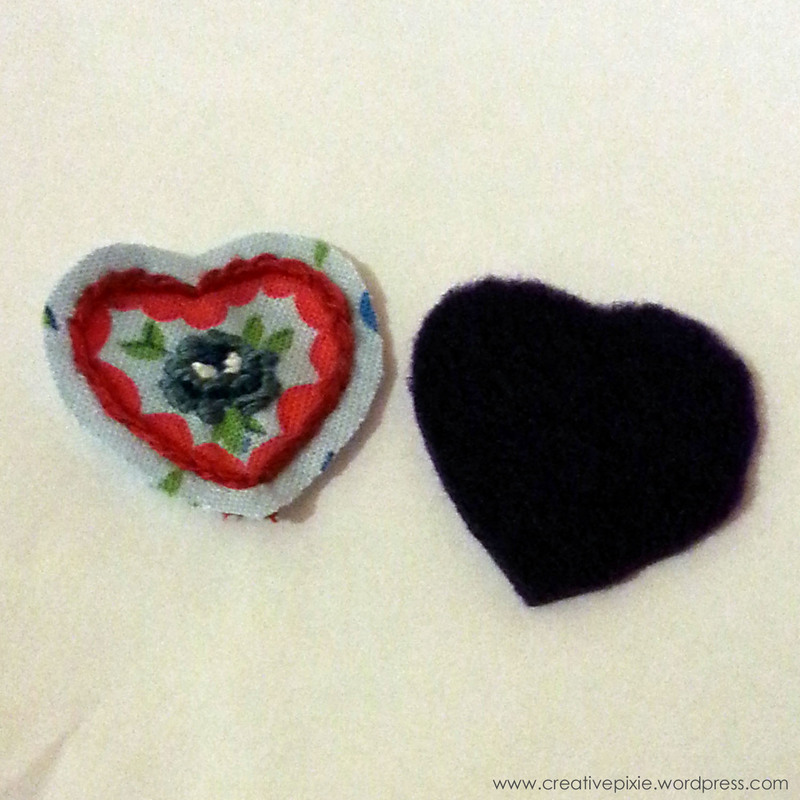 So here is this weeks make: an embroidered heart brooch. Still on a bit of a sewing kick I decided to give embroidery a bit of a go. 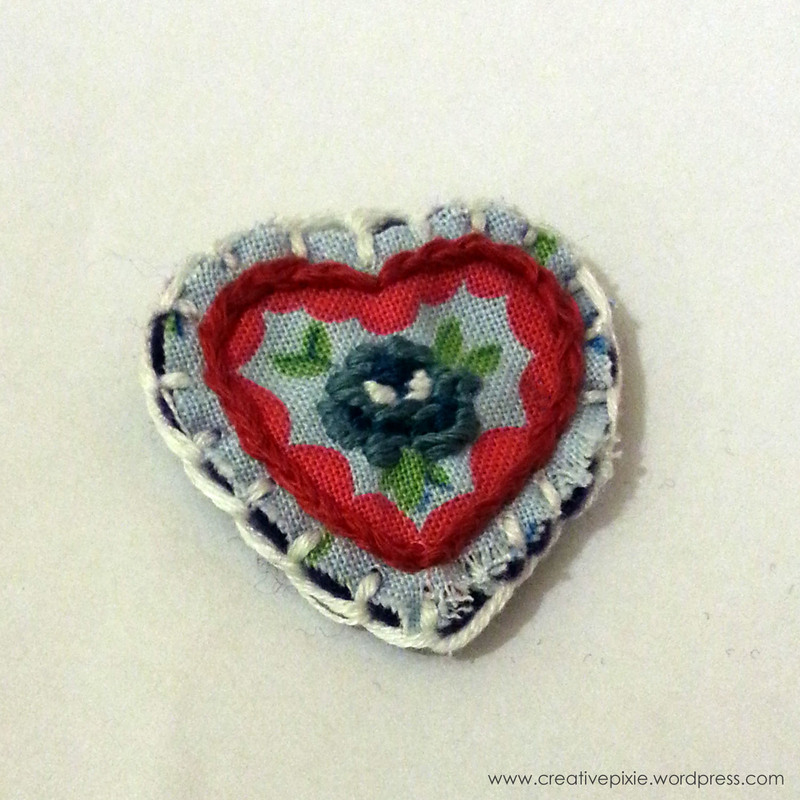 I had a small piece of fabric with some pretty hearts and flowers on it and I thought that it would make a good brooch if I could isolate the design. 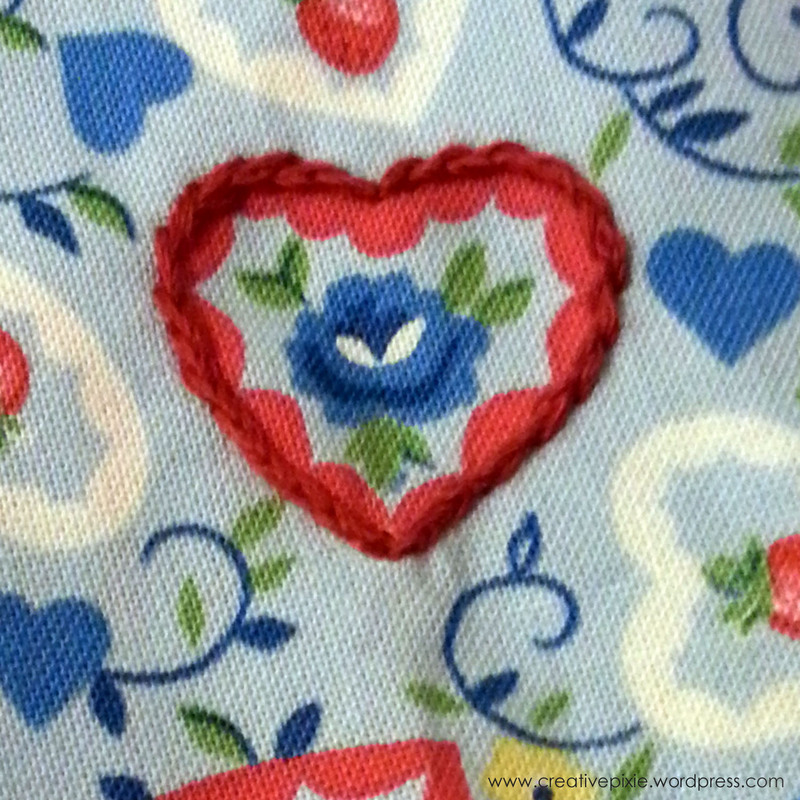 If you want to make something similar (heart shaped or otherwise) you’ll need patterned fabric, felt, a small safety pin, embroidery threads and scissors. The outline of the heart was done with a split stitch. 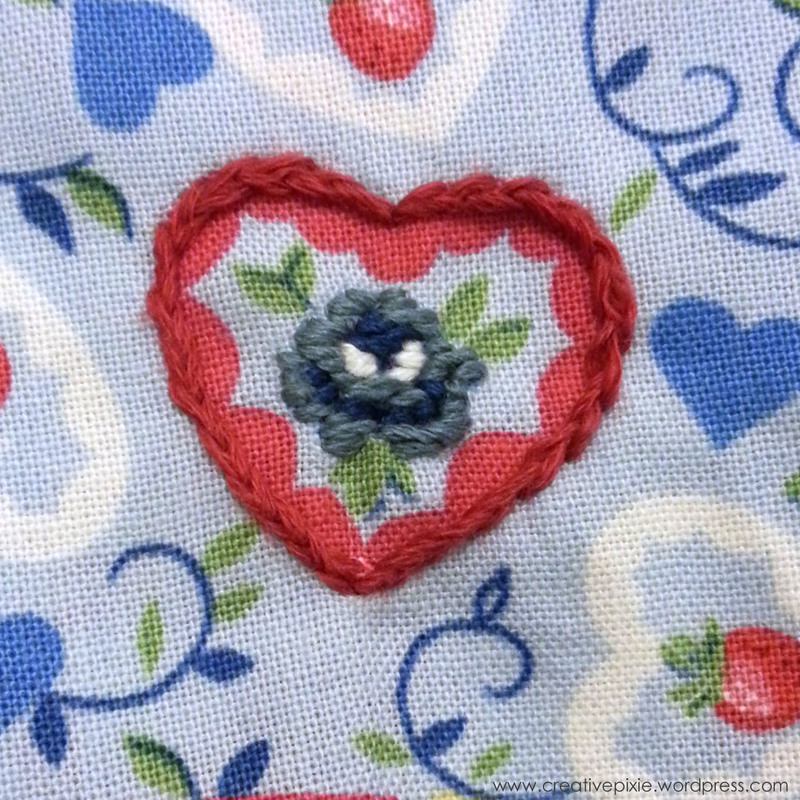 The blue rose was completed using a satin stitch in 3 different shades of blue. I then cut out the heart shape (leaving a border) and used that as a template to cut out the felt backing. These 2 pieces were sewn together using a blanket stitch around the edges. 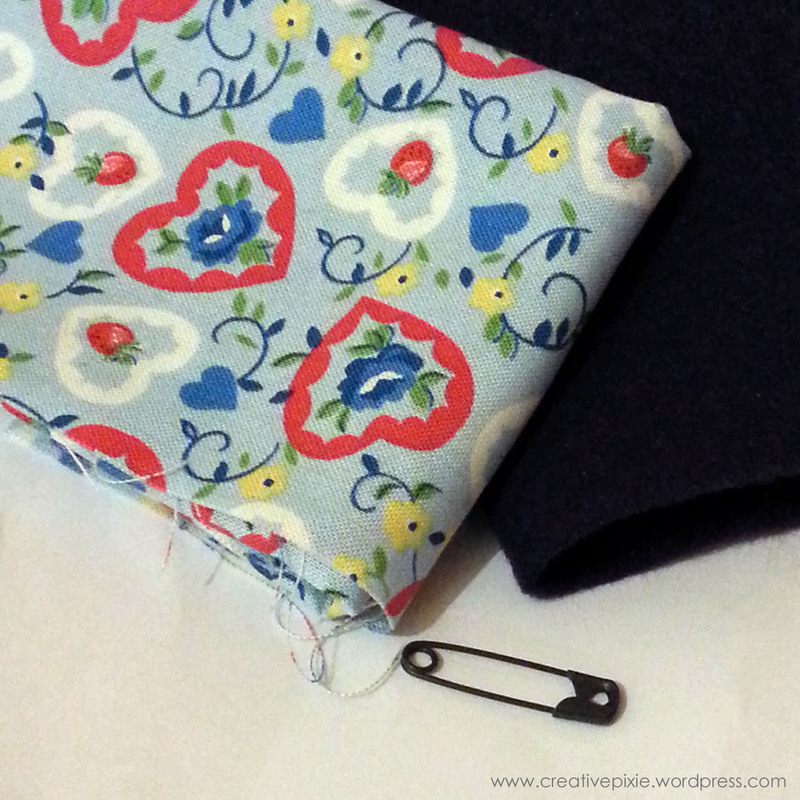 Sew a safety pin onto the back so the brooch can be fastened to clothing. 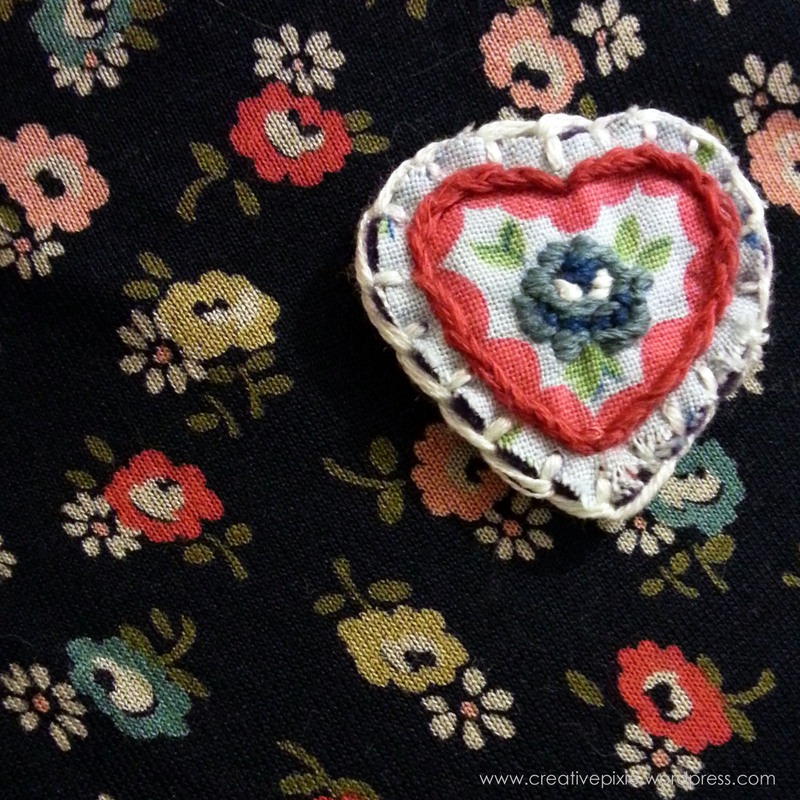 Here’s the finished brooch on my lovely new Cath Kidston dress (a Christmas present from Miss P). It’s such a wonderful idea, Jean…and perfect for upcoming Valentine’s Day! Thank you for the great tutorial. You know I never even thought of it for Valentine’s Day. Very cute and delightfully uncomplicated. I see potential in lots of old clothes. It’s amazing how effective a few stitches can be. I’ll have to hunt through some more fabrics to see what else I can do. So perfect for Valentine’s Day!!! I did think the little strawberry would be cute. This brooch totally fits the Valentines mood I find myself in right now! This gorgeous and something simple but elegant. I will be looking forward to Make It Mondays. How about a simple pair of earrings to match? Just answer the 7 questions relating to beauty greed, beauty envy and so on. Just copy them from my post.